With the coming of the “Four Horsemen of the Apocalypse” to the Capitol next week, Rex Ingram will have two pictures running simultaneously on Broadway. In creating this stupendous production, this young director has made one the great classics of the screen. The picture, adapted by June Mathis from the novel of Vicente Ibanez, is not a war play, except as the war serves as a background for the story teeming with dramatic passion. The director has succeeded in concentrating the great struggle in a series of unforgettable pictures that flash out the quintessence of life. Through it all is the deeply human, deeply moving spectacle of intensely real people in their baffled attempts to readjust themselves to the demands of the war days. In the cast of 50 principles and 2500 extras are included a score of well-known screen stars. They are Rudolph Valentino, Alice Terry, Pomeroy Cannon, Joseph Swickard, Brinsley Shaw, Alan Hale, Bridgetta Clark, Mabel Van Buren, John Sainpolis, Nigel de Brulier, Virginia Warwick, Derek Ghent, Stuart Holmes and Edward Connelly. SL Rothafel and his staff are at work on the details of a presentation in keeping with the production. 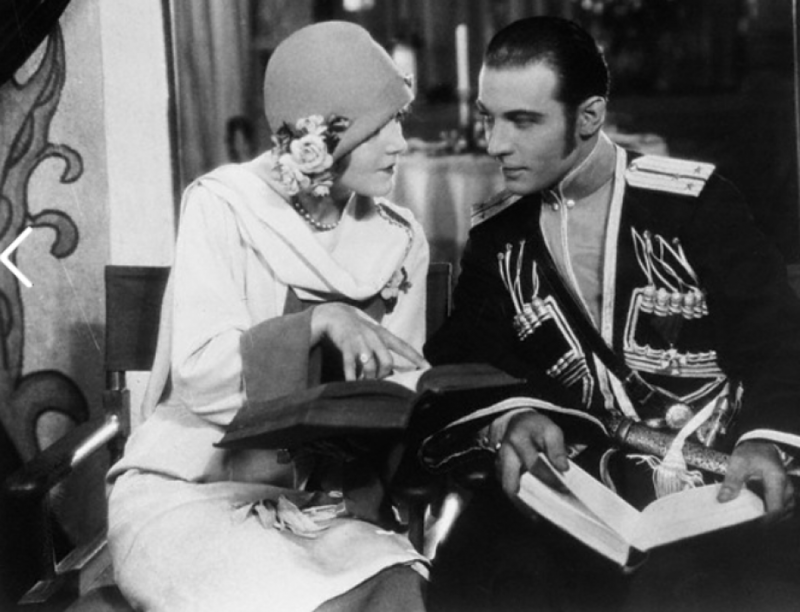 A romantic day for the world’s leading romantic man Rudolph Valentino admits he is a romantic in his own temperament as well as in the parts he takes place before the camera. He loves his wife in spite of the interviews each of them has given to the papers, but the girl of his dreams still is to be discovered. He intends to cherish this dream without becoming cynical about it whether he ever finds her or not. Rudolph Valentino the idol of all Flapperdom and Carl Fischer, manager of the Majestic Ballroom where the “perfect lover” is doing his show two days this week are on the outs. Fischer is on the warpath because he says he was hoodwinked into signing a contract on which he expected to lose $15,000 because the reputed snobbishness of Valentino has proven to be practically all as far as Detroit is concerned. Fischer agrees with Detroit, and says that Detroiters used good judgement in deciding that Valentino is a “foul ball” from an artistic standpoint.